These two look the same, right? The MUFE palette goes for a hefty $95 (Oh my!) whereas the Kimchi Blue I picked up on sale for a mere $8. Now, though they may appear similar on the surface, let me tell you that they are very different. 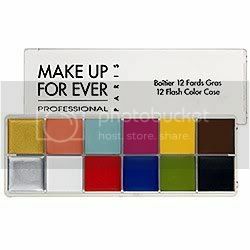 The MUFE colors are highly pigmented and you need the tiniest bit to create an opaque look. The Urban Decay dupe colors are more sheer and it takes a bit of product to build them up so that they are no longer translucent, or in the case of the metallic shades- no amount of product will achieve that opaqueness. 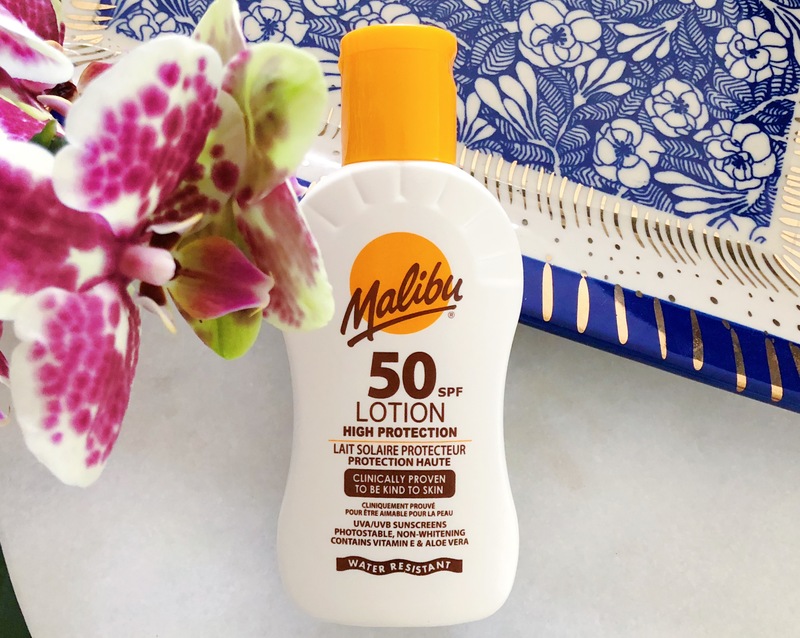 The dupe is also more greasy, more likely to crease. However, with a good amount of primer and a setting powder you can do many looks with it, but you don't get as many colors as the genuine thing. Also, the U/O product has somewhat low quality packaging, you have to save the plastic sheet that comes with it and glue it to the cover or else dust and grime can contaminate it. So the bottom line is, save up for the real deal (or buy the primary colors and the dupe to start your collection). The Urban Outfitters dupe is a quick fix, but it's no substitution for the fantastic MUFE Flash colors. I'll still use the U/O dupe colors as bases for eye shadow and Halloween makeup, but they just doesn't mix like the other one. 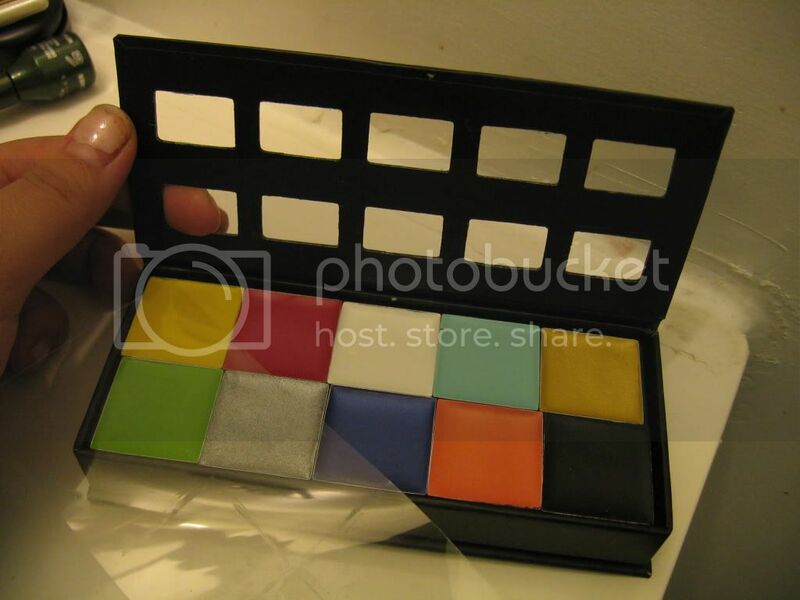 Cost: $95 for the Make Up For Ever Flash Palette found at Sephora or the MUFE site. 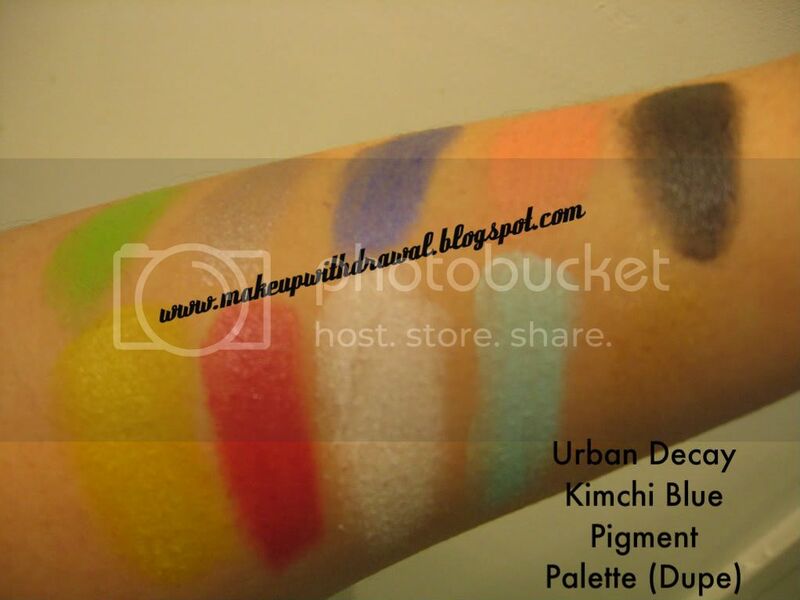 ~$12 for the Kimchi Blue Pigment #1 Palette at Urban Outfitters.